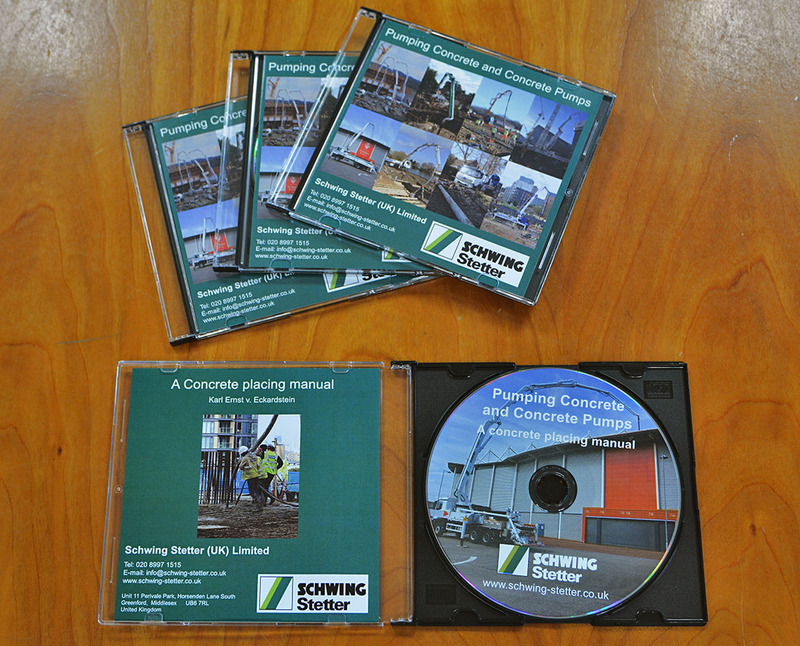 A couple of months back I was asked to dig out any copies of a CD we once did (before my time here) of a concrete placing manual. After opened a large number of boxes in storage I finally found the original master of the file which turned out to be a pdf of scanned pages from a manual. The task was then to press another batch of discs with a slightly different front cover with more up to date shots of our machines (including Reilly's new S 38 SX). I thought an updated file might be a good idea too and so did an OCR (optical character recognition) on the images so people could search through the file for particular words and phrases. I've pressed up music CDs before but not data ones but the concept is pretty much the same so sent the files off to the local disk pressers and hey presto - several boxes arrived this morning with the above merchandise! So if you'd like a concrete placing manual on disc, you know where to come! Yes, during the training it is very important to use any materials: books, articles, CDs, as well as advice of specialists. I, for example, as an expert in writing various essays and college papers, I maintain my website, where I publish essay examples for college. According to them, students will be able to understand how to write a good essay in college.